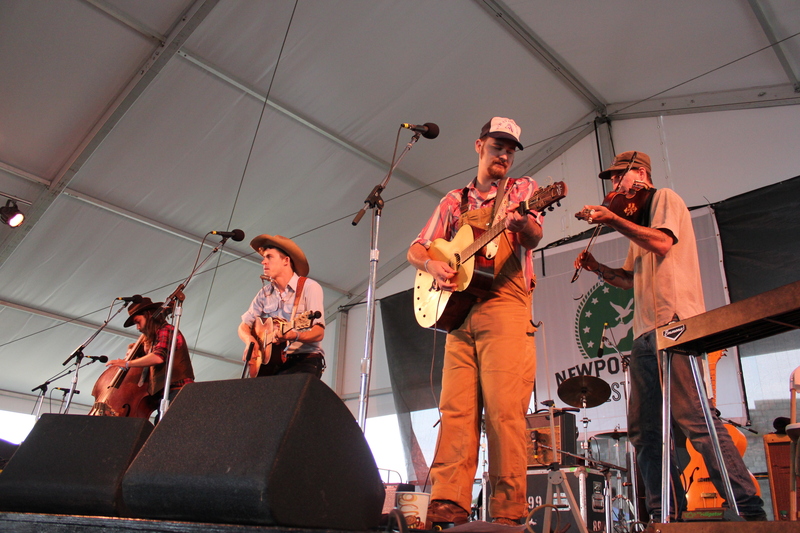 The Donkey owes a lot to Newport Folk Fest. After all, it’s where we discovered the band that rattled a jawbone and inspired our curious namesake. It remains a place where we know we can settle in among good people with a cool breeze on our face no matter the weather and soak up hours of music for days. A good portion of the bands you see at Newport are spankin’ new to audiences outside their local scene. It’s a beautiful thing, ya’ll. This year, the Fort was especially ripe for musical discovery. 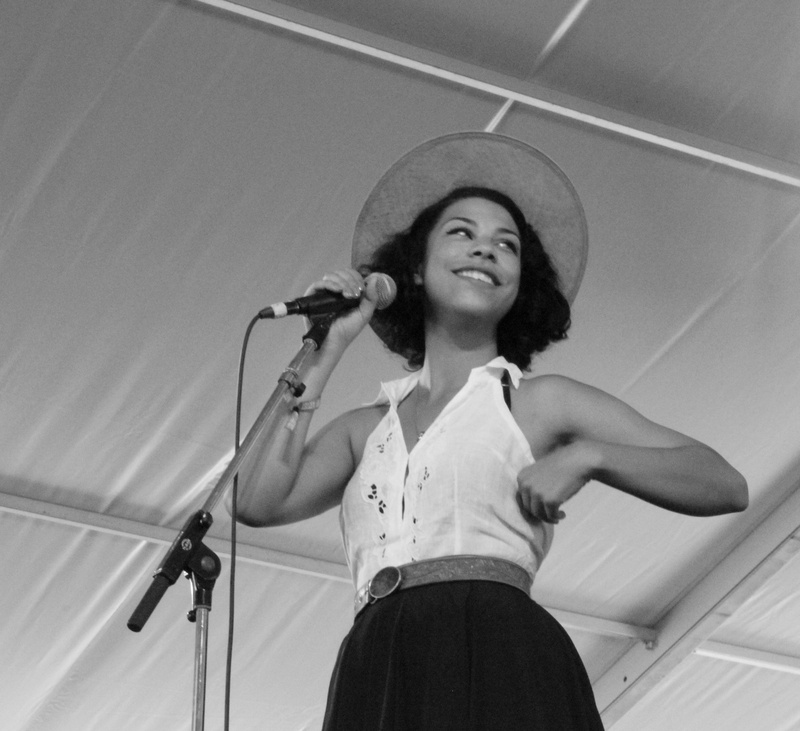 Here are ten acts we think you need to know sooner than later. Trust the Donkey. Ramshackle swamp country by way of New Orleans. The Deslondes harness the spirit of late bands that cranked tunes out from the legendary Sun Studio with authenticity as gritty as your granny’s best cornbread. A thunking upright bass moves them into occasional bayou boogie and funk territory. Seriously, you’ve never seen a banjo played like this. On stage pedal looping has been a thing for a few years, but Mike Savino charts new territory by leveraging the technique to make his instrument electrifying. Whether he’s using it as a drum or creating cavernous backing vocals by singing into hollow parts, this bearded wonder is doing New York City proud. If you dig his sound, you can help him fund a new record by making a pledge for some pretty sweet rewards here. If there was a sweetheart of the Fort this year, it’s Caitlin Rose. While she started off playing punk music in Nashville, it looks like country music ultimately won her heart. Often compared to the likes of Loretta Lynn and Patsy Cline, Rose is a throwback to real, classic country. Simply smoking. 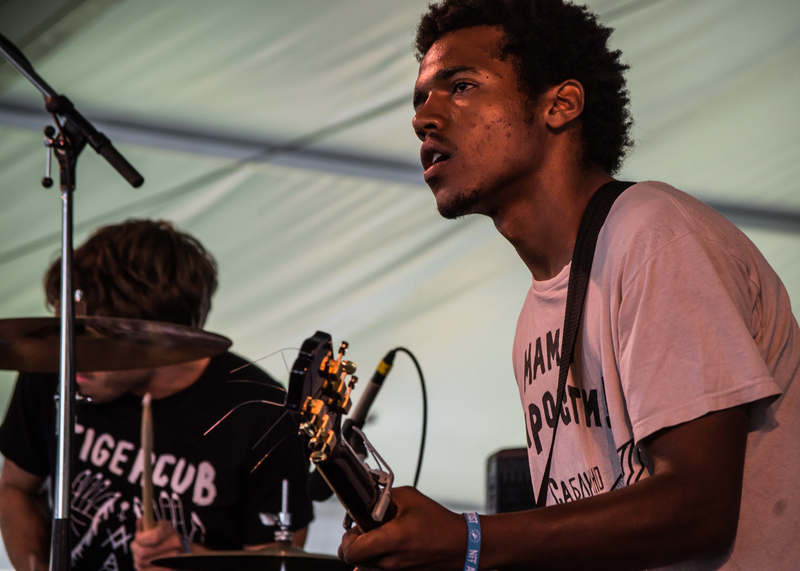 That about sums up a performance by Benjamin Booker. Combining elements of soul, funk and searing rock n’ roll, Booker is poised to be an artist with a very fruitful career. You can tell this kid has spent time sifting through and savoring records ranging from Blind Willie Johnson to T. Rex. His aptly titled debut album Violent Shiver drops this Tuesday by way of ATO Records and is sure to generate substantial buzz. A tour with Jack White didn’t hurt him either. Sweet, sweet voice of an angel. You won’t forget the first time you hear this Irishman’s warm, soulful song Take Me to Church (and at this point, you’ve probably heard it a lot given that it has gone viral in the last few weeks). Thankfully, he’s not a one trick pony as proven by the array of songs on the EP of the single. 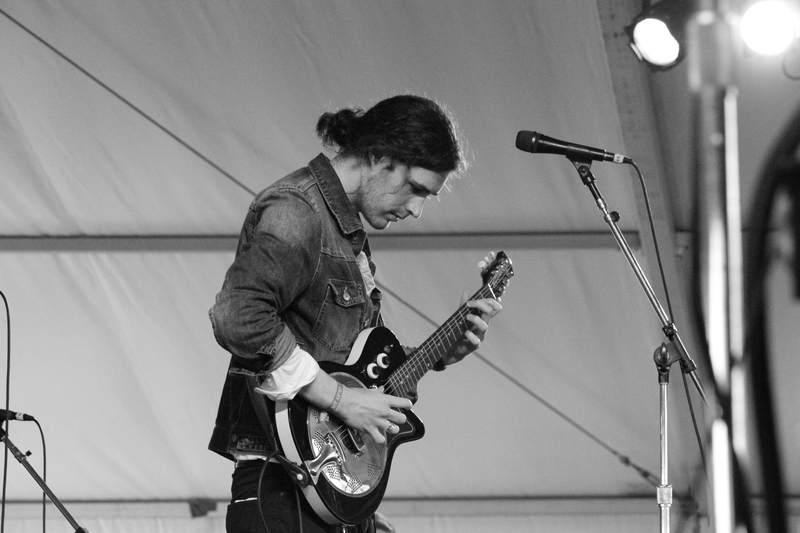 Some folks say he’s got that Ray Lamontagne thing going on, but we hear Jeff Buckley. Judge Hozier for yourselves. Acoustic electric stylings from below the Mason Dixon. The Chapel Hill duo comprised of lyricist Andrew Marlin and Emily Frantz draw on parables and life in the South for songs on their third release, This Side of Jordan. (Yep Roc). Flanked by fiddle and hushed strums, the words become utterly intoxicating. Hands down the most impressive showing at the Fort this year (and that is saying a lot, folks). 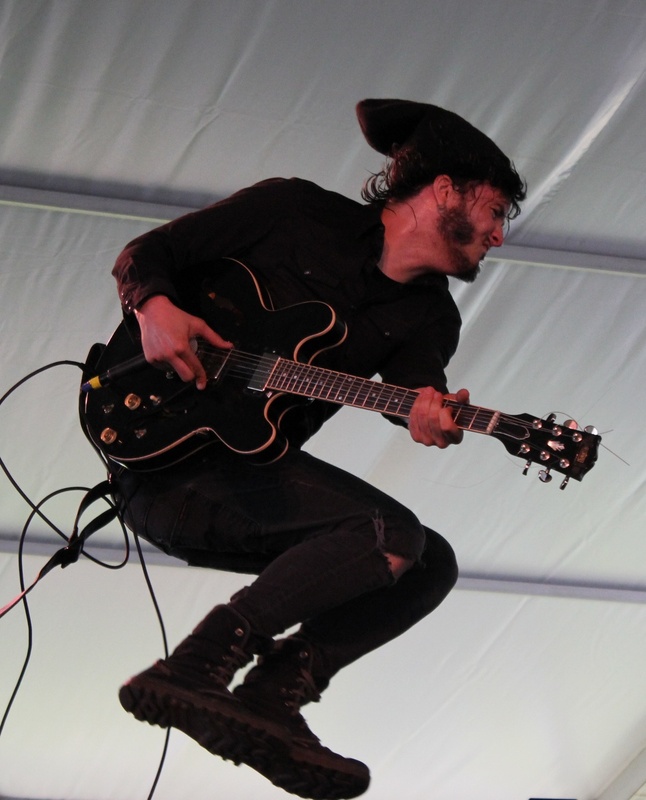 We joked that Canadian Jordon Cook should make t-shirts that say, “Made it Reign at Newport 2014!” given his all consuming blues rock assault on the crowd. There’s a reason why this one man powerhouse was able to effectively open for Black Sabbath this past year. Given this export, we might be willing to forgive our neighbors to the North for Justin Beiber. On our daily trek to the Fort, we must have heard the single Slow Motion at least two or three times in an hour on SiriusXM. 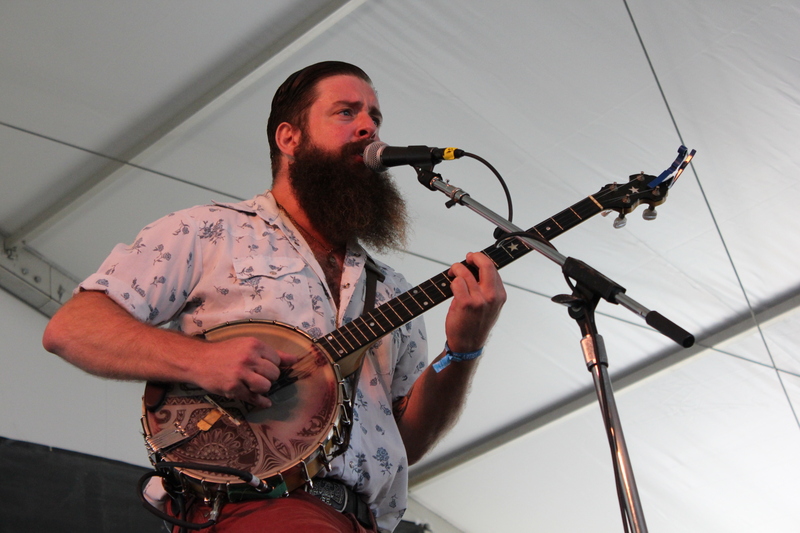 The Wisconsin-based six piece was on the brink right around festival time, which might explain the ubiquitous song. They’ve got other worthy tracks too. 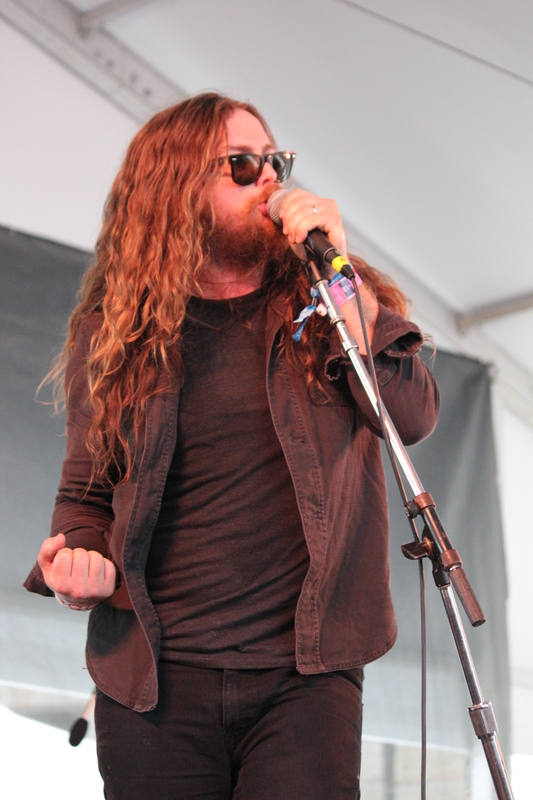 To be fair, we are biased about J. Roddy Walston & The Business. One half of the band lives mere miles from us here in RVA (the others remain in Baltimore). That said, you’d be hard pressed to find a more feiry keys-based, rock n’ roll band making music right now. They jangle, they thrash ivory. You’ll talk to your friends about this show for days if you catch it. Oh, hello! is right. Don’t be fooled by the bio that presents Tyler and Maggie Heath as an unassuming electic folk duo Lies! 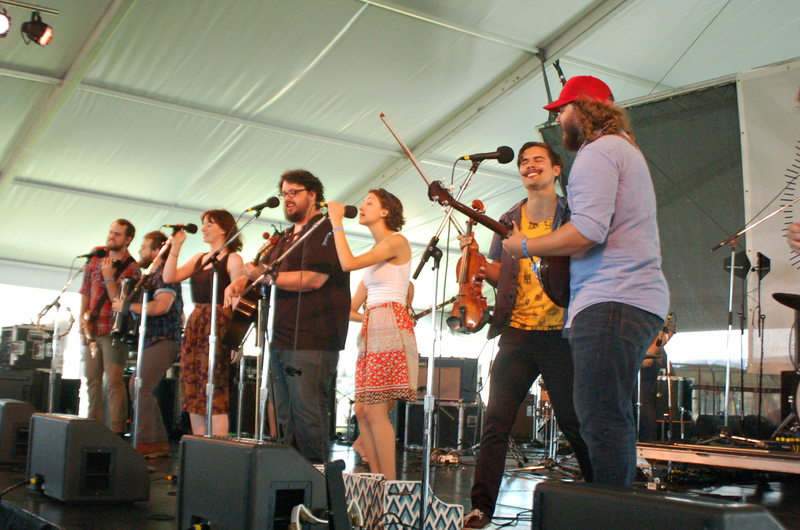 They bring the rowdy on stage with a romping ensemble of merrymakers. Their show feels much like a damn Mardi Gras parade.